WESTMINSTER, Colo. - Authorities say they have arrested one man and are looking for another after three men were found fatally shot in a suburban Denver home. The bodies were found Wednesday morning in Adams County after a distraught woman called 911 to report a disturbance in the home before hanging up. Cmdr. Terrance O'Neill of the Adams County Sheriff's Office says 41-year-old Gabriel Flores was arrested Wednesday night after a police chase through neighboring Jefferson County. Flores is in jail without bond facing first-degree murder and other charges. O'Neill says Flores became a suspect through interviews with witnesses. 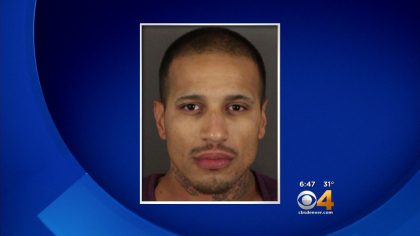 Police are still searching for 30-year-old Furmen Lee Leyba in connection with the deaths. O'Neill would not comment on a motive or identify the victims.